This picture from 1978 was the only one I could find. All the better ones were used at his memorial and I never got them back. My father died of brain cancer in 1998, eighteen years ago. This is my eulogy to him—good times I remember, things I should have said when he was alive, and what he meant to me. Quite simply, I loved him. So why did I wait so long to write his eulogy? Because when my mother told me she’d asked my niece to give the eulogy it broke my heart, but I said nothing. I didn’t want to push my feelings on her then. I only know that my soul twisted into a tiny ball when my niece started with, “I didn’t really know my grandfather very well.” I knew him, I cried to myself; I could tell a thousand stories about him. But I didn’t tell my stories. For years I carried anger at my mother’s decision, but I never told her. It didn’t seem right. The truth is, it’s my fault, not hers. I should have told her how I felt; she would have listened. I delayed because even thought I’ve thought about writing this eulogy every time in the past few years that his birthday, or his anniversary, or Father’s Day passed, I knew the memories, even the good ones, would hurt more than anything I’ve ever written. Now I can only I hope that the heaven I believe in truly exists, and that he can hear my long-delayed words. My father’s name was Harold… never Harry, not even within the family. He was the most honorable man I’ve ever known and I loved him. Everything else is secondary to that. To understand my relationship with my father, you have to know that my family has never been the sort to show feelings openly. We don’t hug and kiss. If we’re hurt, physically or emotionally, we don’t talk about it. That doesn’t mean we don’t care about each other. We simply decline to show anyone the cracks and buckles and scars inside. I know my father loved me, though he only said so a handful of times. I know I loved him, though I’m not sure I said it to him at all. I know he loved me because he let me stand on his feet to walk and dance with him when I was small; because he was always ready to pick me up at whatever airport, train, or bus terminal I happened to arrive at; and because he and my mother flew from Wisconsin to California on a few days notice (super expensive) for no other reason than that I told them it was important to me. This is who my father was to me, the happy and the sad of my memories. My father was a man who loved knowledge but despised what he called ‘educated morons,’ people with lots of book knowledge but less common sense than God gave ants. I remember that He and I both tried to get to the daily crossword puzzle first—whoever didn’t would find at most a letter or two still to be filled in. My sister once commented that debate was our family sport. She wasn’t wrong. If you made a point with which my father disagreed, you’d better be able to back it up with a good source (which did not include tabloids or hearsay) or you’d be treated to a lecture on all the reasons you were wrong. On the other hand, when I was in college he once commented that he didn’t think I was studying hard enough. Since my tuition was provided by loans and grants, not by my parents, I proceeded to outline how little they’d been asked to pay towards my college education. Once that point was clarified, he said “OK” and never raised the subject again. His view was that if I was the one paying for it, how much or little I studied was entirely up to me. He was always fair that way. My father firmly believed that you should should see what your own country had to offer before exploring other places. Because of our annual trips around the country, always with some form of trailer or camper, and his refusal to stop before we reached our chosen destination (except for gas), I now steadfastly refuse to pack sandwiches and eat lunch at the side of the road. That was his way—one I prefer not to repeat. I pull off at rest stops or restaurants and take a proper break. Most of our early trips were in our home state of Wisconsin. One of those taught us all that guinea pigs and car travel are a bad mix. On later trips, my father, sister, and I hiked up and down trails from the Midwest to the Rocky Mountains, scrambled over rocks in Yellowstone and Grand Teton and Glacier National Parks (I won’t dignify it by calling it rock climbing), and on several occasions took ten-hour horseback rides in Wyoming. I was nearly fearless about physical challenges back then. Somehow in recent years I’ve grown more timid, which makes me sad. Far sadder are the missed opportunities, the things left unsaid, the interests we could have shared. ‘If only’ must be the two most heartbreaking words in the English language. When I was a teenager I developed an interest in auto racing (I suspect after reading a story called “Green Racer”). I never told him or anyone else because I was afraid others would find it silly. I was as frightened about emotional hurt as I was brave about physical risks. I only learned years later that he would have been happy to teach me about cars and engines; if only I’d asked. I nearly made the same mistake with guns. My father was an expert marksman and had trophies to prove it; at one time he was captain of the pistol team at the Air Force base where he worked. He would have been delighted to teach me to shoot, but I never asked about that, either. I finally took lessons when I lived in California, a few years before he died. I used shooting at innocent paper targets as a way to relieve stress but the best part was that it gave us a shared interest. The fall before he died, when cancer already had an irrevocable hold on him. I brought my guns home, he collected his, and we went shooting at his local gun club, just the two of us. That day is the most bittersweet of all. Sweet because we spent it together, shooting each other’s guns and talking about everything. Bitter because that was the day I understood how far the cancer had progressed. I was out-shooting him with every weapon. Not because I was that good; but because he could no longer hold them steady. Still, I cherish the memory that day as few others in my life. It was the last time we had together when he could still walk. As I said at the start, I have a thousand memories of my father—full of laughter and tears, and sometimes anger. I could have had so many more if I hadn’t been afraid to talk about the things that mattered most. I think he might have liked my writing, but I was too afraid then to write my stories on paper, let alone show them to anyone. This Father’s Day, talk to your father if he’s still alive. In the words of Sara Bareilles’ wonderful song: “Say what you want to say, and let the words fall out, honestly.” Don’t leave yourself saying ‘if only’ when it’s too late. Thanksgiving is nearly here. If you are like me, that means stuffing yourself with turkey (or some alternative protein) and pie in the company of your family and friends. Most of us go to great lengths to be with family for the day. This year the National Weather Service is predicting snowstorms across the northeast. They’re warning about eight to ten inches of snow. 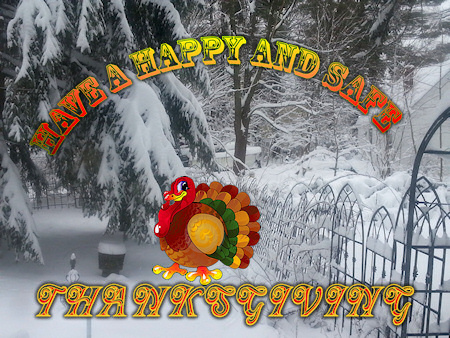 It reminds me of another Thanksgiving, many years ago. The Weather Service predicted huge snowstorms across my native Wisconsin that year and Mother Nature delivered. The state was covered in white. That’s when I got the call that a small airplane was missing. Back then I was part of a Civil Air Patrol (CAP) Land Rescue Team. In most states CAP is the primary organization providing search coordination and teams for civilian aircraft missing on land. We were told that a young man took off from a neighboring state. Iowa, I think. He knew there was a storm coming but chose to fly back to his home in Wisconsin to be with his fiancée for Thanksgiving. He called her before leaving but never arrived. I don’t remember if the plane had an Emergency Locator Transmitter (ELT) or not. They were new at that time and far from universal. Unlike modern systems, early ELTs had no satellite connections and were generally found by flying over a crash site listening for their distinctive oscillating tone. I doubt that it mattered much that first day. The weather was not our friend. Snow continued on and off, limiting search support from the air to the brief periods when the storms abated. Our ground team and the others did their best, following every clue received and searching area after area. There were no cell phones then–no way for him to contact anyone if he survived the crash. His last contact with flight service was near Spring Green, Wisconsin, west of Madison, so that’s were we concentrated our search. We heard that based on his radio capabilities he could be anywhere in the lower half of the state. We heard that he’d diverted to northern Illinois once before due to a problem. Disheartening. We searched all through the long weekend with no result. The worst was that his fiancée was in our headquarters. She looked hopeful every time she heard we had another lead. We couldn’t tell her that by the end of the weekend we were looking for a body. Nobody could have survived the exposure in that weather. On Monday the search largely stopped. We were all volunteers with school or jobs requiring our return. The teams returned to the search for the next few weekends, then ended the effort. There was nothing more we could do. I’m not sure what happened to that young man. We heard that the wreckage was found in northern Illinois the next spring but I never saw confirmation. This Thanksgiving, as you struggle to reach your families through the storms, remember that young man. Don’t take unnecessary risks to get there. Hold back if you need to. It’s far better to be late for your holiday dinner than to never arrive. There will always be more dinners. To those who must work during the holiday–the hospital staffs, police, emergency services personnel, members of the military, and everyone else who works to keep us all safe–I say thank you. Your choice of service and your dedication is not unnoticed. 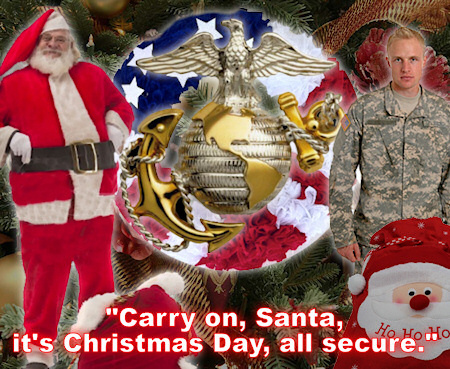 To everyone else– Enjoy your families and a day of parades, football, and stuffing yourself but above all, stay safe. St. Patrick’s day is coming. For many Americans that means parades, parties, and green beer. Maybe corned beef and cabbage. 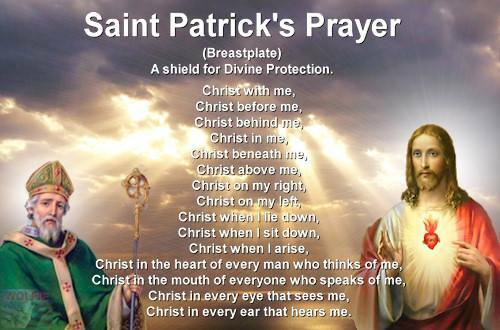 But what about St. Patrick, patron saint of Ireland and namesake of this day? He’s often lost amid the revelry. 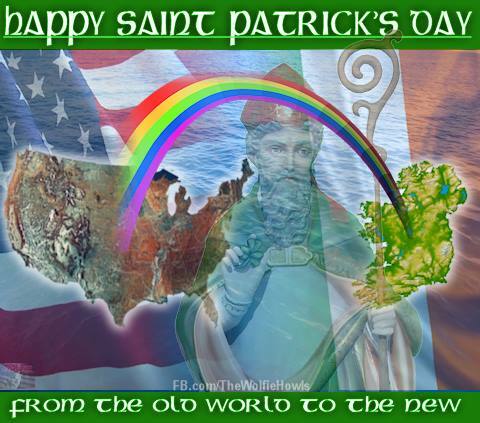 The historical St. Patrick was born in Britain in the fifth century. Kidnapped and taken to Ireland when he was about sixteen, he didn’t hate those who enslaved him. Instead, he escaped after six years and became a priest. He returned to Ireland to bring the word of Christ to those who had once harmed him. Some say he chased the snakes out of Ireland. That seems unlikely. According to Nigel Monaghan, keeper of natural history at the National Museum of Ireland in Dublin, there is no evidence among the vast collections of Irish fossils that snakes ever existed there. The land link between Britain and Ireland was broken two millennia before the retreating cold of the Ice Age allowed the return of snakes to northern Europe. Ireland’s isolation protected it, not the esteemed saint. What is true is that by the seventh century he was revered as the “Apostle of Ireland.” He is generally credited as being the first bishop of Armagh. Since the early seventeenth century, 17 March, the date of his death, has been celebrated as the feast day of St. Patrick, or St. Patrick’s Day. It is celebrated as a Christian feast day by Catholics, Anglicans, Eastern Orthodox, Lutherans, and perhaps others of whom I’m unaware. Lenten restrictions on eating and drinking alcohol are lifted for the day. It is also a public holiday in the Republic of Ireland, Northern Ireland, Newfoundland, and Montserrat and is celebrated around the world. Celebrations often involve public parades and festivals, parties, and the wearing of green clothing. My husband, who grew up in Ireland, remembers the religious aspects of the celebrations and was stunned at the lack of this when he came to the United States. Sadly, I only remember parties, green beer, and random people wearing green clothing for the day. Poor St. Patrick was forgotten in most of my memories. This St. Patrick’s day, while you celebrate with your friends and drink you green beer, please remember to give a toast to the one who started it all: St. Patrick, Bishop of Armagh and Apostle of Ireland. He left us with a prayer whose power may be felt even by those who don’t believe. in the power of his descending and judging. in the deeds of the righteous. and all unlawful knowledge that harms the body and soul. and to Christ belongs salvation. May your salvation, Lord, be with us always.